Bones for turtles you say. Yes! 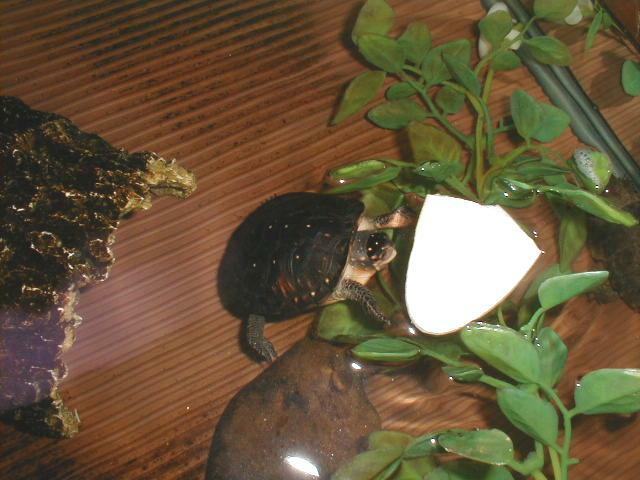 Some turtles enjoy a bone, a cuttlebone. 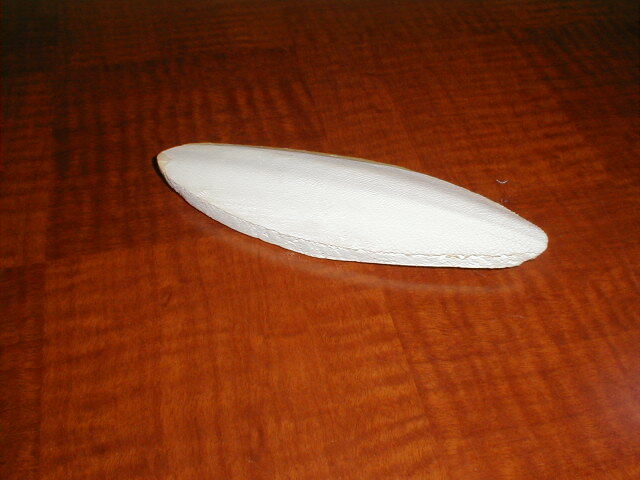 This is the same cuttlebone sold for birds. Water turtles enjoy nipping at one as you can see in the pictures. Do they eat it for the calcium or to wear down their beaks or just for play. They probably do it for all three. Cuttlebones are clean and will not fowl aquarium water. Cuttlebones are very light weight and float. 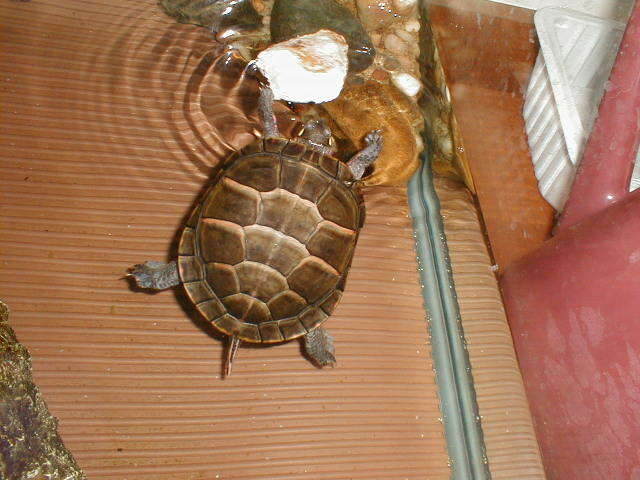 Eventually they water log and sink which is not a problem for the water turtles. They also break easily. 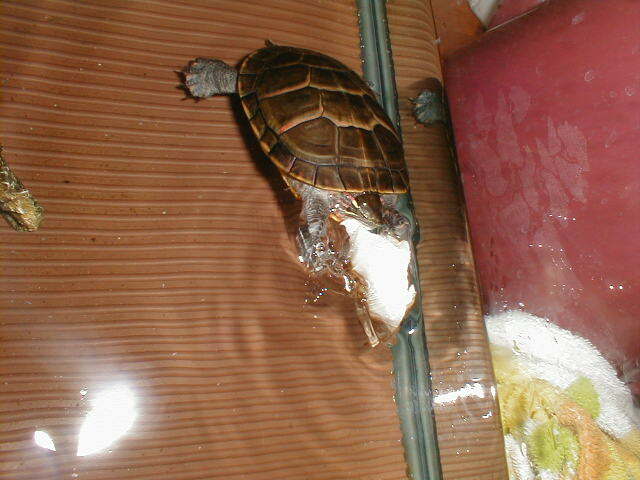 For small turtles, we break a piece off rather then give them the whole bone. 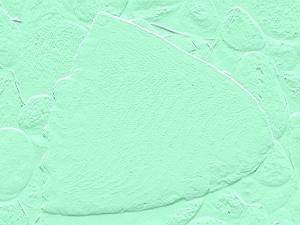 Some land turtles will nip at soft stones and will quickly switch to cuttlebones if provided. Again they are clean and do not fowl the turtle's environment. Nip is also an understatement. Turtles will bit pieces out of the bones which are very soft. They will leave very distinctive bit marks the size of their mouths. 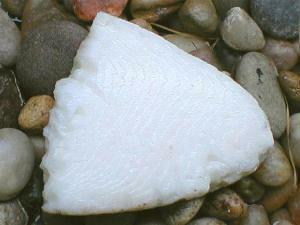 The cuttlebone in the pic 5 above was only in use a few days when the picture was taken. When you are shopping in a pet store, check discounted merchandise tables for broken cuttlebones. They may be half the regular price and save you the trouble of breaking them. Since originally writing this tour, cuttlebones for turtles have come to market. Cuttlebones for birds usually have a hard surface on one side which has been removed for turtle bones making them a better choice for turtles. We have also noticed that the egg shells of some of our water turtles laid after their first nesting of the season are noticeably thinner than their first nestings. The second nesting may be as little as two to three weeks after the first nesting. For this reason we provide cuttlebones for them during the nesting season as well as provide calcium supplements with their food. We hope you enjoyed our third behind-the-seens tour. Cuttlebone anyone?